Two of Hockney's 82 portraits on display. Copyright David Hockney, photo Richard Schmidt. David Hockney wowed us with his landscapes back in 2012. The simplistic style and the use of bright colours gave them a sense of wonder and the surreal. He's now applied a similar style to a series of 82 portraits. All the same size, all equally bright. It's this colour that will hit visitors straight away, playing off against the dark red walls. The subjects are a mix of friends and family, plus big names from the art world like gallery supremo Larry Gagosian. But unlike landscapes, portraits are more reliant on the finer details and this is where Hockney comes a cropper — in a major way. A portrait of a woman with blue eyes, looks more like someone with their eyeballs scooped out then refilled with blue paint. Architect Frank Gehry has one leg longer than the other (we're not sure he does in real life). Another portrait of a woman has both eyes trying to escape from one another. A man dangles his leg over an armrest — the foreign limb juts out unnaturally, out of whack with the rest of his body. If these works came from an art student they would be sent back with the message: 'must try harder'. 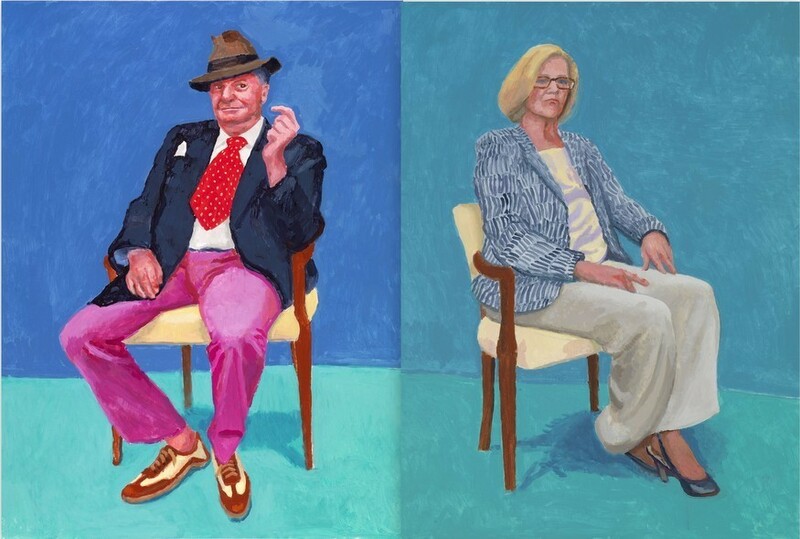 There's no denying Hockney's great contribution to British art but this series of works is plain awful. We admire an artist who is not afraid to continue experimenting in his later years, but as far as experiments go this is Hockney's version of Frankenstein's monster. David Hockney: 82 portraits and 1 still life is on at Royal Academy of Arts from 2 July-2 October. Tickets are £10 for adults, concessions available. Fans of Hockney's landscapes should check out an exhibition of these works nearby at Annely Juda Fine Art on Dering Street. This exhibition is on until 19 August. Entrance is free. Art fans should check out our most talked about art exhibitions.